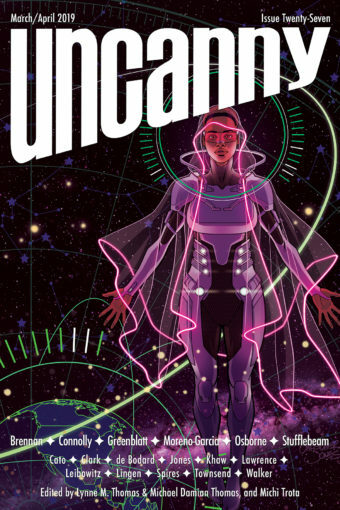 Three-time Hugo Award winner Lynne M. Thomas is co-Publisher/Editor-in-Chief of Uncanny: A Magazine of Science Fiction & Fantasy with her husband Michael Damian Thomas. The former Editor-in-Chief of Apex Magazine (2011-2013), she co-edited the Hugo Award-winning Chicks Dig Time Lords, as well as Whedonistas and Chicks Dig Comics. She moderates the Hugo Award-winning SF Squeecast, and contributes to the Verity! Podcast . 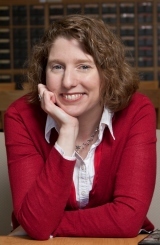 In her day job, she is the Curator of Rare Books and Special Collections at Northern Illinois University, where she is responsible for the papers of over 70 SF/F authors. You can learn more about her shenanigans at lynnemthomas.com.